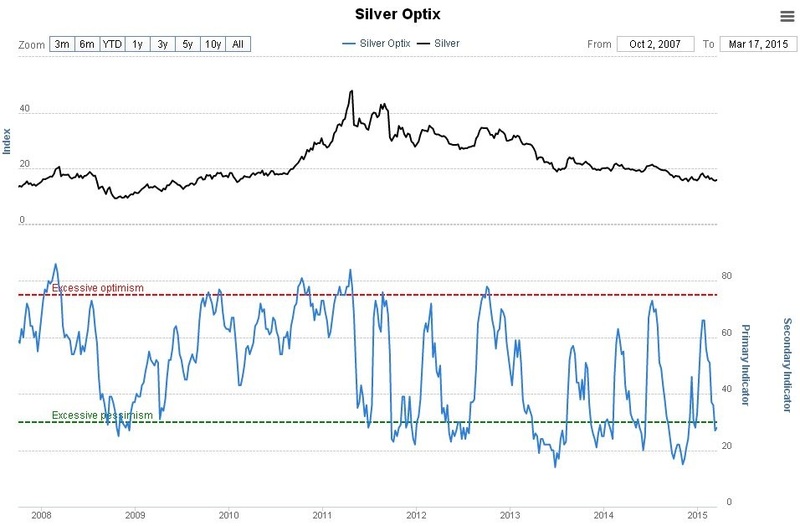 Silver showed impressive resilience on the latest dollar rally, refusing to break to new lows, and with the dollar signaling that its huge rally is burning out, and gold’s COTs now strongly bullish, the outlook for silver is suddenly a lot better. While the bearish scenario painted in the last update is still a possibility that could become reality in the event that we spiral into a deflationary implosion, right now with the dollar faltering, the picture for silver is brightening fast. On its 8-year chart we can see how silver held above the support towards its November lows over the past week or two, despite the dollar spiking dramatically to new highs ahead of the Fed meeting. 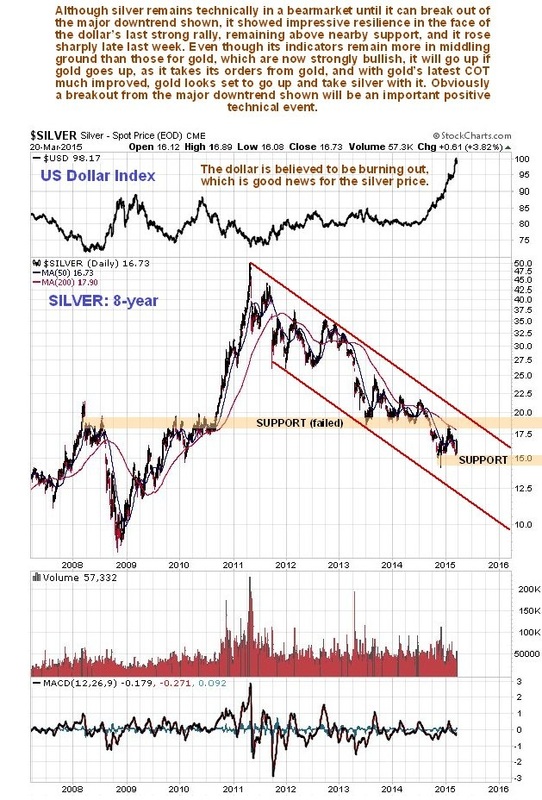 If the dollar spike is burning out, which is what it looks like, then we can expect silver to break out of its major bearmarket downtrend from its 2011 highs to embark on a major new uptrend. So a breakout from this downtrend will clearly be a major technical event. 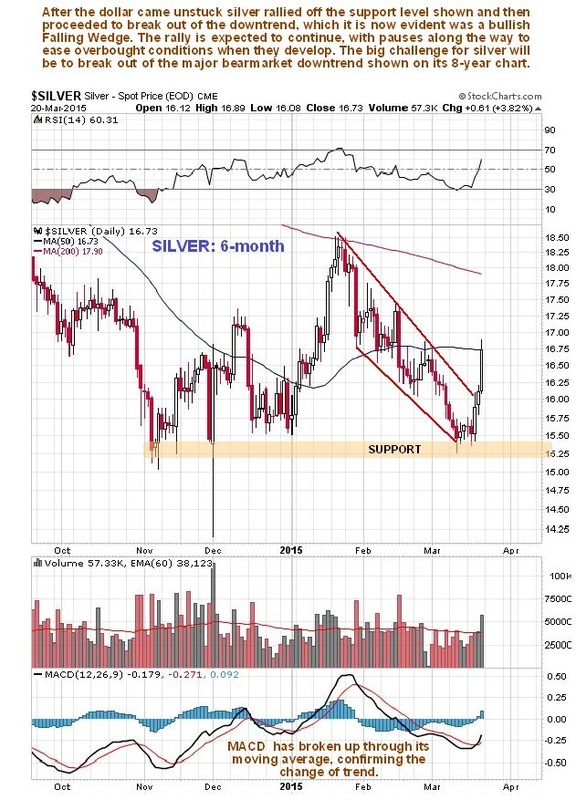 On its 6-month chart we can see recent action in more detail, and how when the dollar ran into trouble last week, silver rallied off important support towards its lows of late last year and on Friday broke clear out of the downtrend in force from mid-January, which it is now clear was a bullish Falling Wedge. 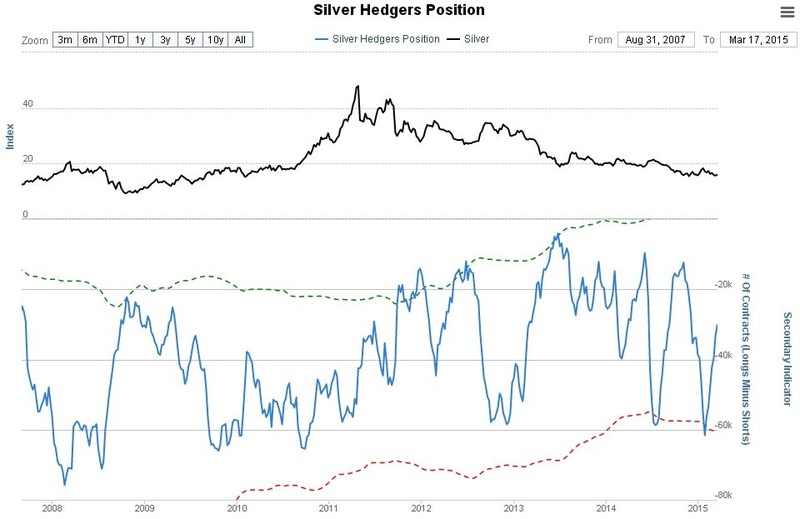 Although silver’s latest COT is not so bullish looking as gold’s, as there is clearly room for further improvement, with scope for Commercial short and Large Spec long positions to contract even further, it won’t matter if gold decides it is going to advance – because silver takes its orders from gold and when gold goes up, so does silver, and even faster in percentage terms, as a comparison of the 6-month charts for the 2 metals shows. 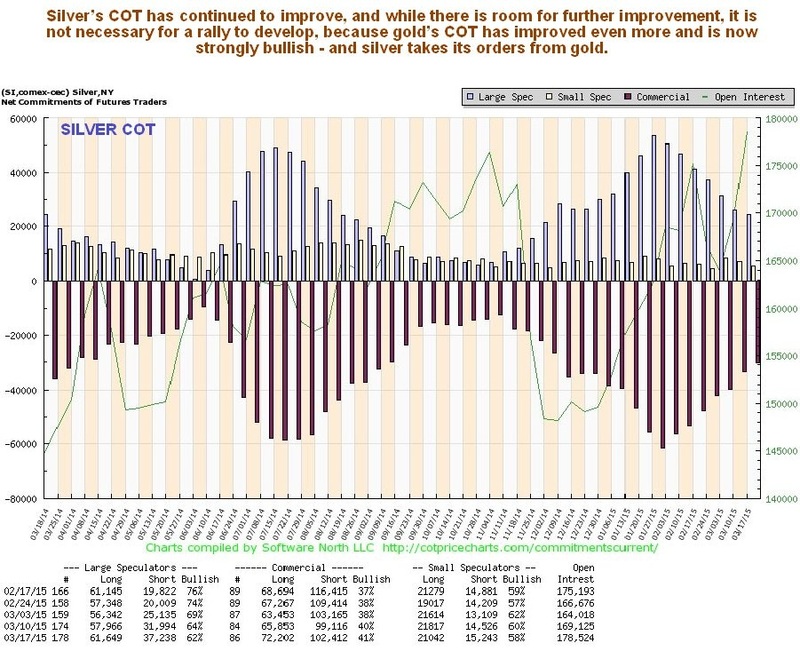 Late last week silver’s price action was more impressive than gold’s, even though gold’s COT looks better.